Born Antoine Reed, Sir Michael Rocks has always been a a little ahead of his time, a little more original than his peers, a little bit more creative. Since he and fellow The Cool Kids member Chuck Inglish burst onto the scene in 2007 as teenagers, they’ve helped redefine the image of underground, independent rap for the Internet era with their effortlessly cool aesthetic and catchy, creative, music. Having grown older and wiser over the years, the ever-evolving and defining style icon Sir Michael Rocks has recently traded in his hallmark throwback, flashy aesthetic to embrace a more simple, back-to-the-land aesthetic, selling off his old diamond-studded jewelry in favor of handmade wooden pieces that offer significant and power. As he explores an increasingly far-ranging set of ideas, his lifelong impulse to explore and innovate remains at the forefront of what Rocks is trying to accomplish and is very much present in his upcoming debut solo album, Banco, which is slated for release on July 29th and pre-order starting July 1st, 2014. With features from Too $hort, Mac Miller, Twista, Iamsu, Trinidad James, Casey Veggies, Robb Bank$, Pouya and Chuck Inglish and production from DJ Mustard, Banco showcases Sir Michael at his most inventive and most personal. Whether he’s bragging about his juicer or sharing a tragic story involving a family member’s fatal car accident, Sir Michael Rocks keeps the vibe positive and honest, upholding the notion that nothing can be made without giving something up, noting that people can make anything they want if they’re willing to do so. A lifelong love of video games and anime has nurtured other values as well: hard work, respect for others, and, above all, a refusal to let his surroundings temper his innate sense of joy. 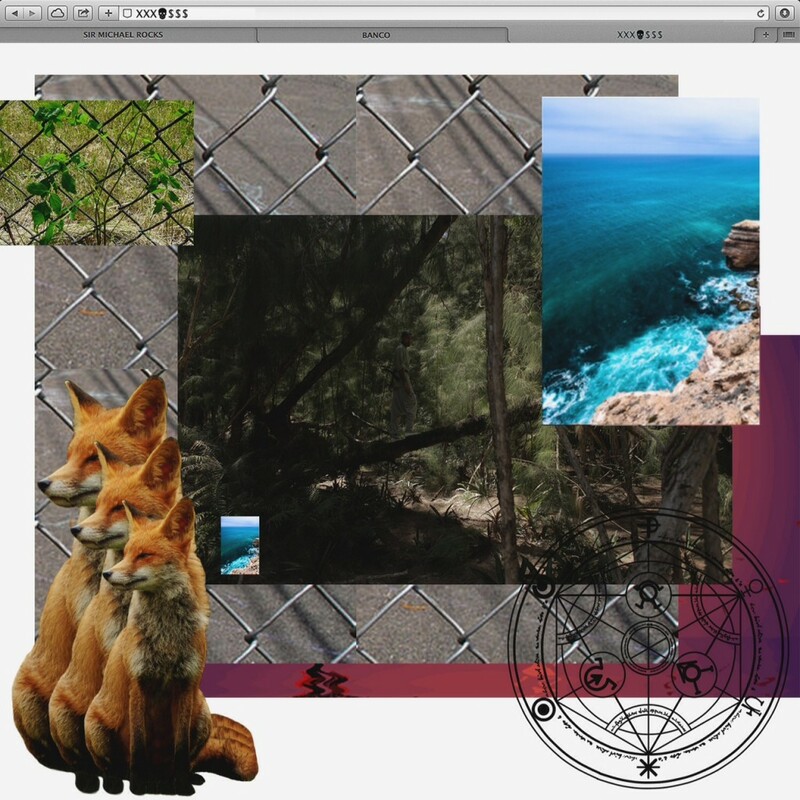 Being surrounded by nature and animals is another thing that brings the former Chicago native joy, and now that he lives in wildlife-teeming South Florida in Miami, he’s incorporated those themes more than ever into his music and Photoshop-driven collage cover art, which he created himself. Banco is a fascinating left turn of an album that finds Rocks making the most experimental, energetic, and varied music of his career. Sir Michael Rocks also announced via twitter that The Cool Kids will be ending their hiatus and reuniting to release their highly anticipated album Shark Week by the end of the year. This will mark the first album The Cool Kids will have released since their 2011 album When Fish Ride Bicycles. Sir Michael Rocks is also prepping for a multi-city Florida tour alongside Robb Bank$.